LARGE OCEANFRONT DUPLEX with 6 bedrooms and 5 bathrooms on the quiet west end of the island. There is a covered porch on the main level with rocking chairs and a Tete-e-Tete, and an open sundeck upstairs off both master bedrooms. Add a covered shared gazebo on the sand dunes and the ocean views are unbelievable from each vantage point. Remodeled kitchen in 2017, remodeled bathrooms in 2016 and plenty of extras make for a fun and relaxing vacation for your family. Extra spacious open living area including a wide screen TV and expanded cable with premium channels, 4 other flat screen televisions, Blu-ray DVD player, wet bar, a large dining table for 10-12, additional round table, and open kitchen area with counter bar for extra seating. Dishwasher, microwave, 2 coffee makers, 2 refrigerators and washer/dryer off the kitchen. High chair and a fixed wooden mini crib that can be moved from room to room. Central heating and air, high-speed wireless internet, ceiling fans in each room, enclosed hot/cold outside shower, covered parking and gas grill. Non-smoking. No Pets. Sleeps 20. Bedding: First floor, 2 Doubles, 2 Doubles. Second floor: King, King, 2 Queens, 2 Queens. Blue Ribbon service included with the rental, all bed and bath linens provided and made up for your arrival. Our family rents a home at OIB each and nearly every year. 235ww was our choice for 2016 and we were very pleased. Nice large bedrooms with beautifully appointed baths. Easy beach access. We feared the parking situation at a duplex but it turned out fine. The only possible negative would be the small kitchen however it is fine for one or two people. We had a blast. 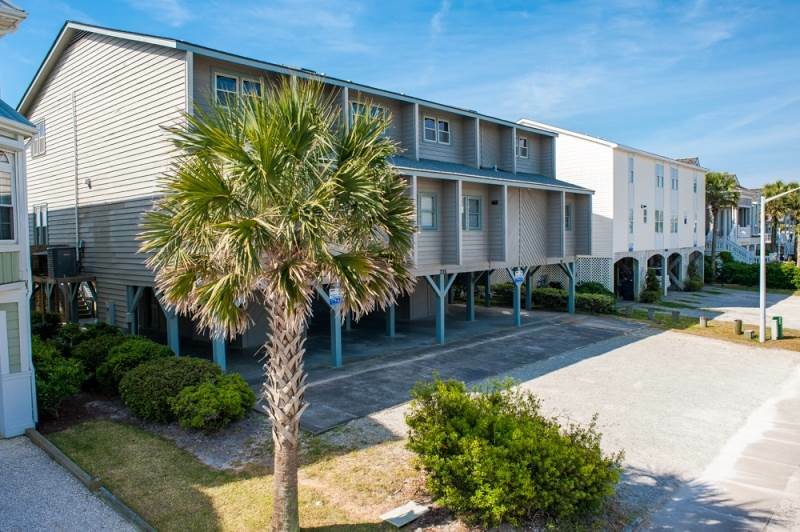 It is the best home that we have rented at OIB in the 6 or 7 years that we have vacationed there. The Baker clan from WV/Mooresville NC will be back in 17. TY.